The Dawg House is now located on the Boardwalk on the weekends. 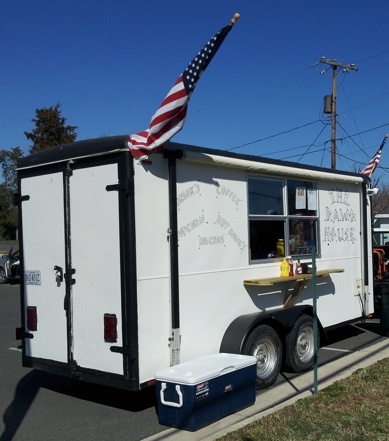 Rick Davis and his crew can be found here Saturdays and Sundays from 10 - 6 serving up hot dogs, barbecue, sno-cones, crab soup and other tasty treats. 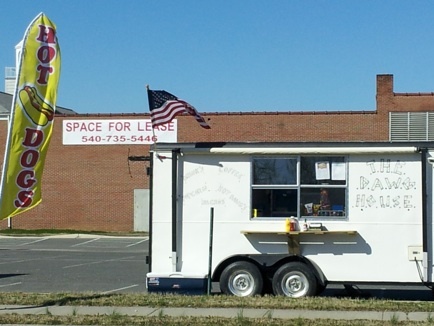 Mandy Jane Lepore-Gooding recently added some great colorful artwork to the exterior of the trailer, letting folks know what items are on the menu. The Re-Grand opening took place on March 10th in the parking lot of Colonial Plazaby Pap John's pizza. The weather was perfect - sunny and mild.